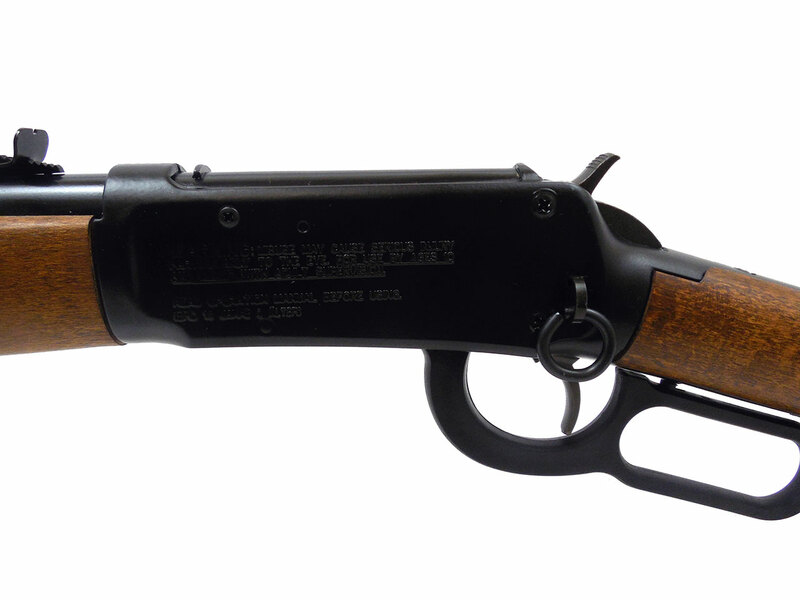 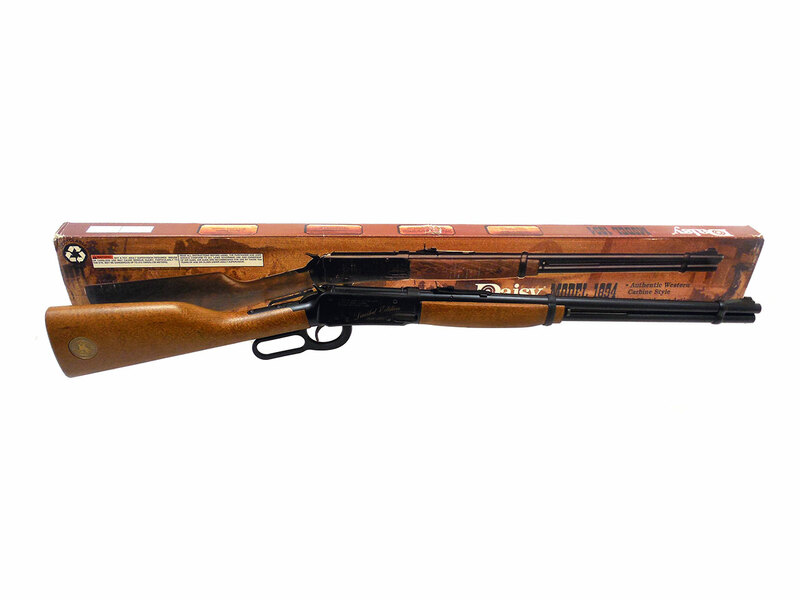 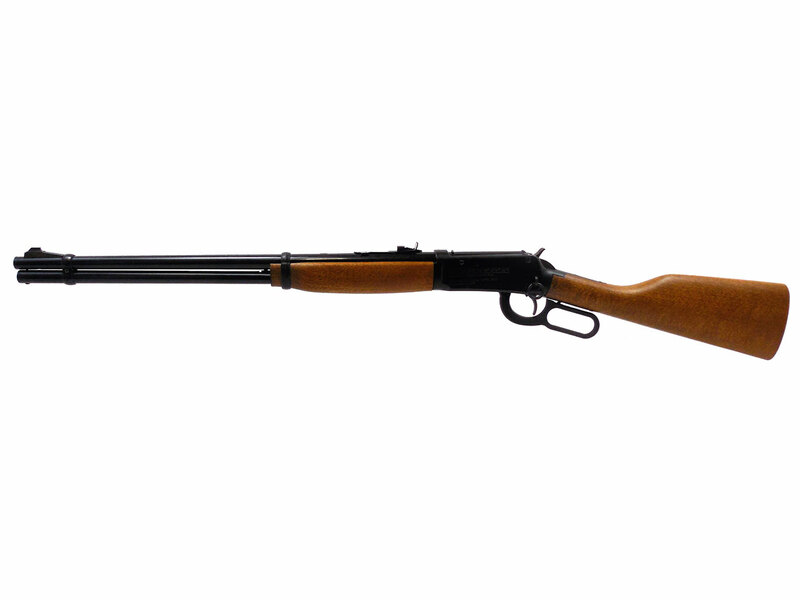 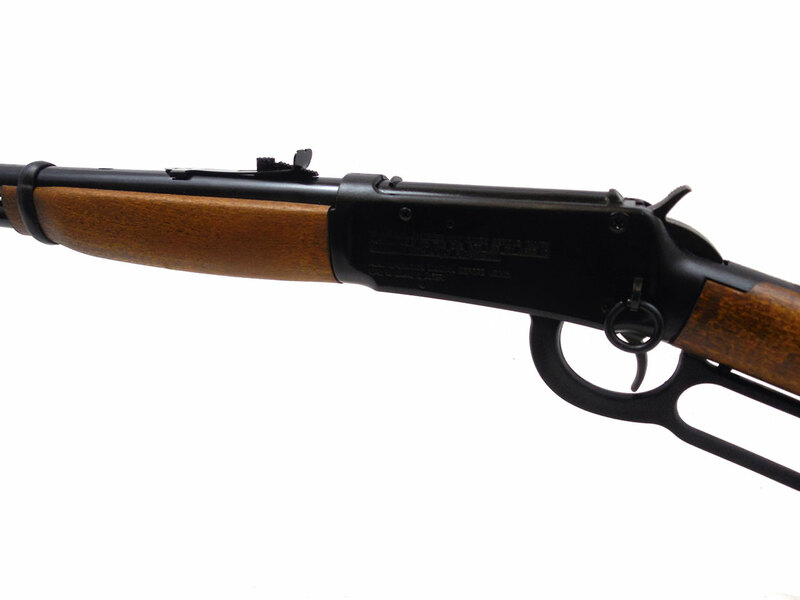 The daisy 1894 is a 40 shot, lever action BB repeater in the box. 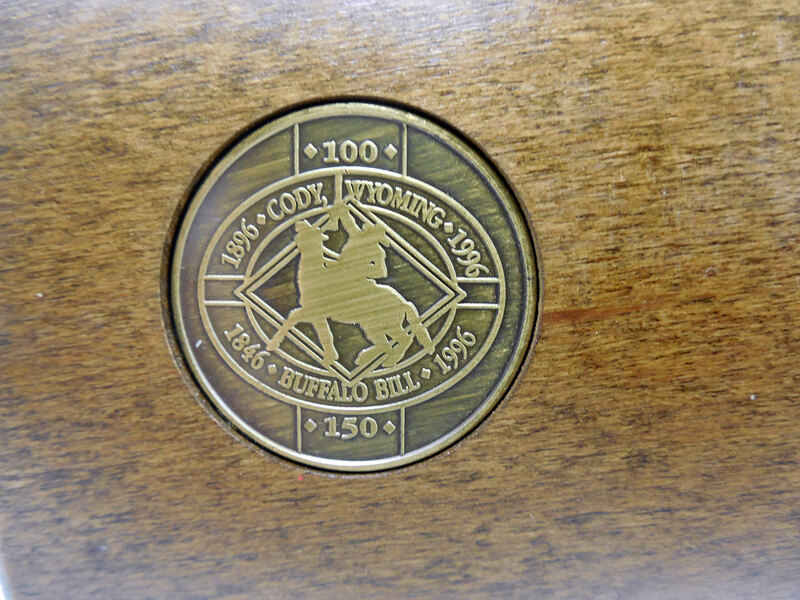 This gun has a medallion in the stock commemorating the 1886 to 1996 100 year anniversary of Cody Wyoming, and 150th year since the birth of Buffalo Bill in 1846 (as of 1996). 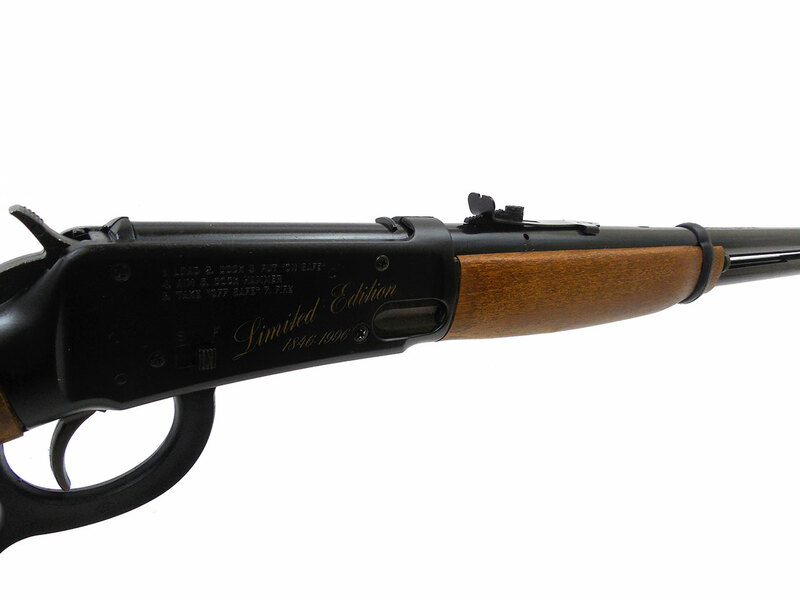 It has a wood stock (typically plastic), and comes with an original factory box. 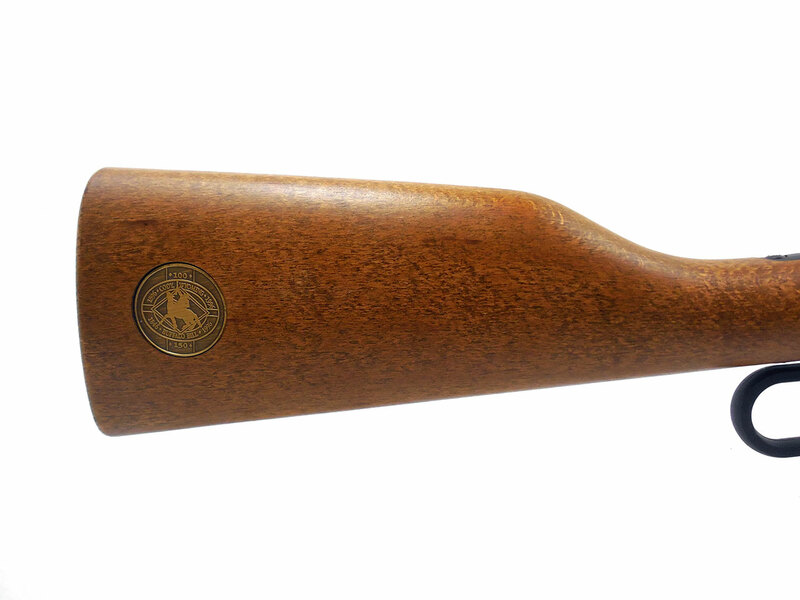 The wood stock, forearm, and metal finish are in excellent condition. 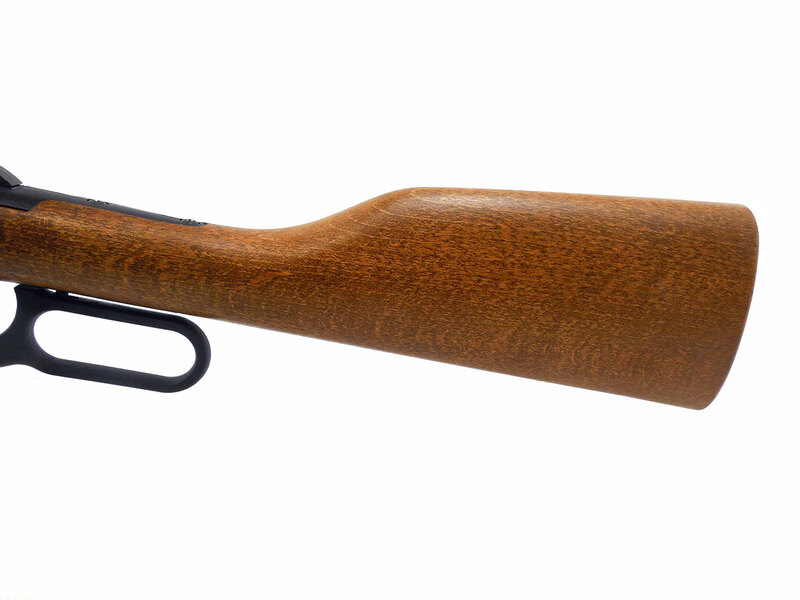 Velocity on this airgun was tested at 296 fps. 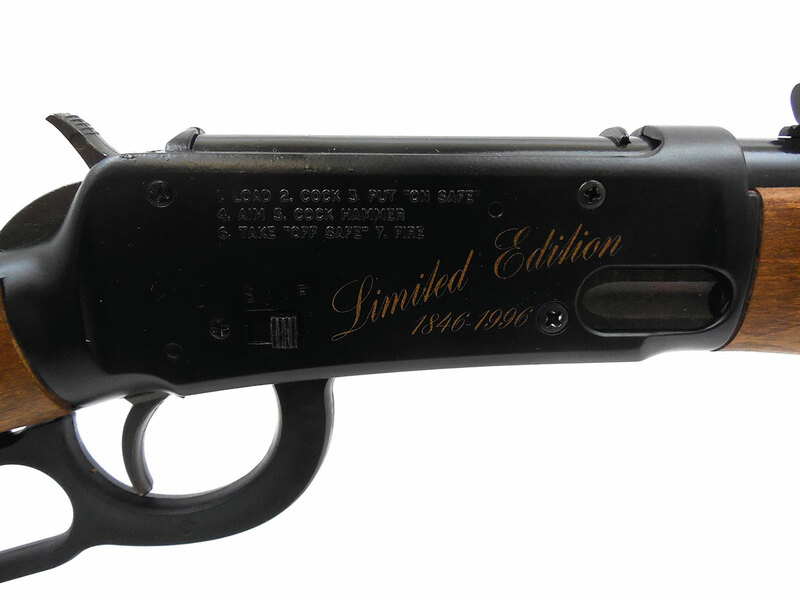 This is a great looking collectable 1894.